After a conversation about Wil’s new bottled beer, a Belgian style Dubbel. 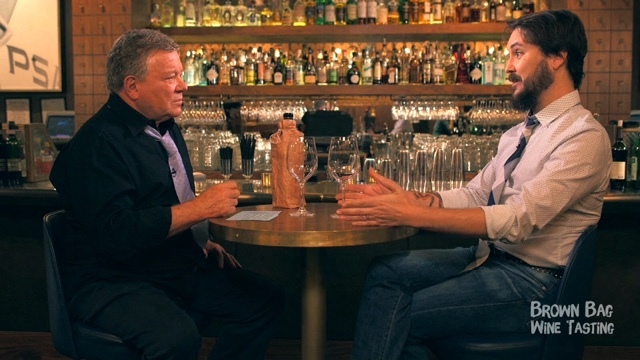 Bill and Wil discuss the living organisms of yeast within beer. ‘Are you drinking a living thing?’ Wil says yes! And they (the yeast) are “Hopefully, having a party.” Through it all they find themselves discussing the possibility of other living organisms as well as the third dimension. “I always thought it would be interesting if there was intelligent life that we just weren’t able to perceive.” With all the speculation of life elsewhere, it’s only fitting to embrace a little bit of life and have a little bit of wine! The mystery wine was a 2010 Hawk and Horse Vineyard Cabernet Sauvignon which Wil described in beer terms as “a darker, crystal or caramel malt… the flavor is coming from the malt, with some gentle aroma from the hops. A malt-forward beer that is not quite as bitter as an IPA” and scored the wine a 91 out of 95.